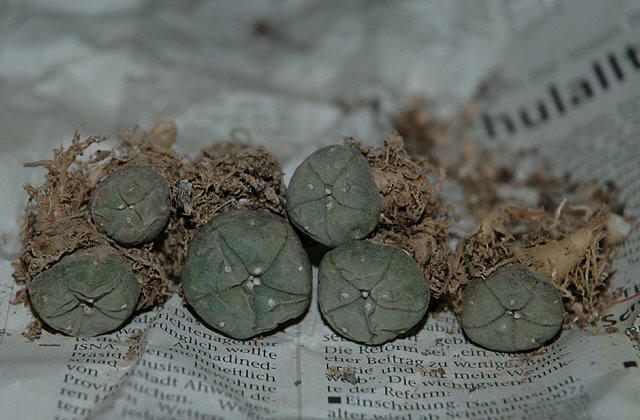 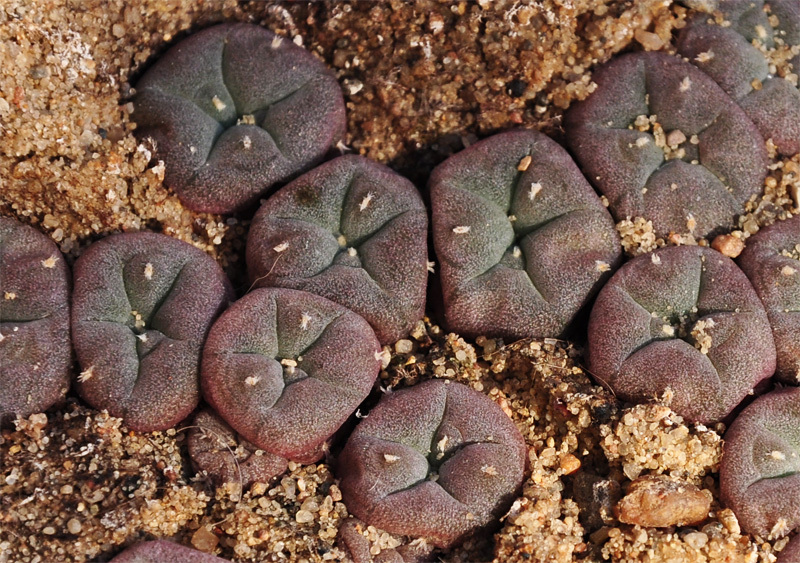 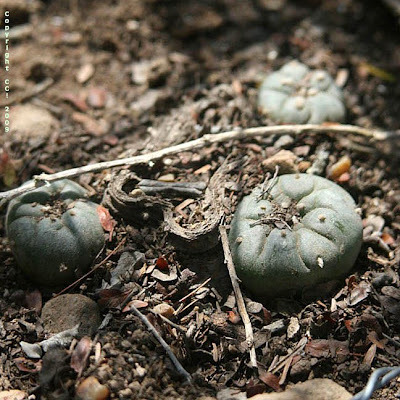 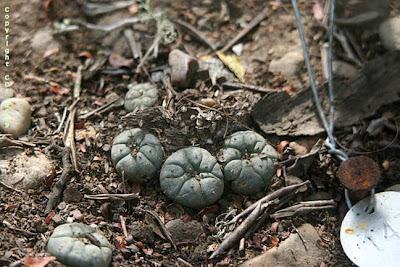 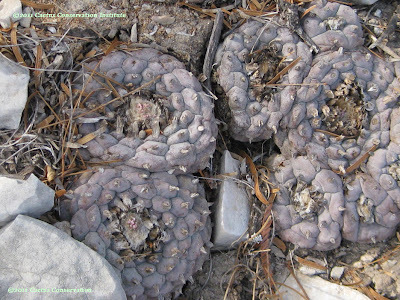 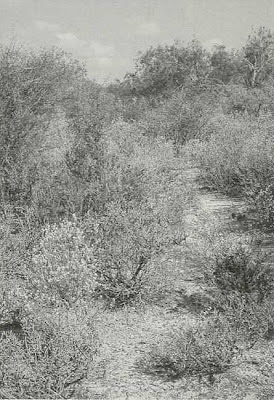 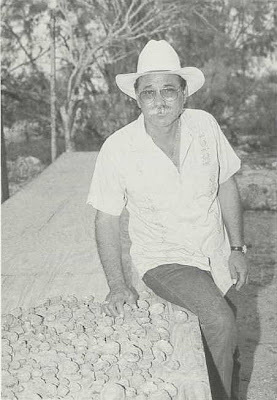 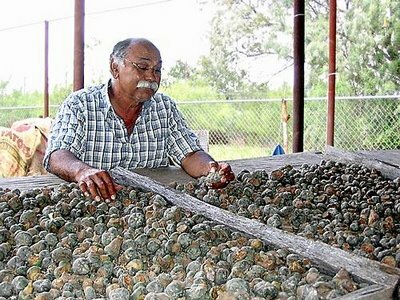 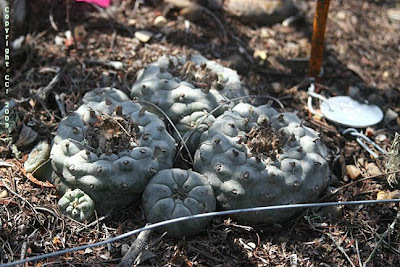 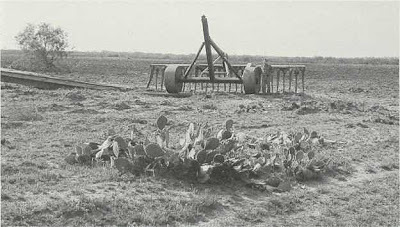 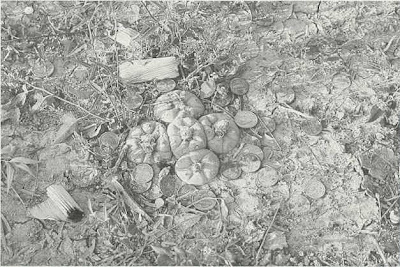 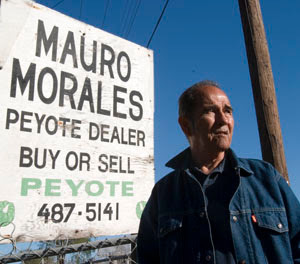 The Cactus Conservation Institute recently published the data from the first twelve months of their study on how harvesting affects regrowth and mortality of peyote plants in habitat in South Texas. 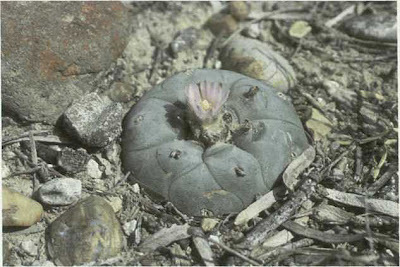 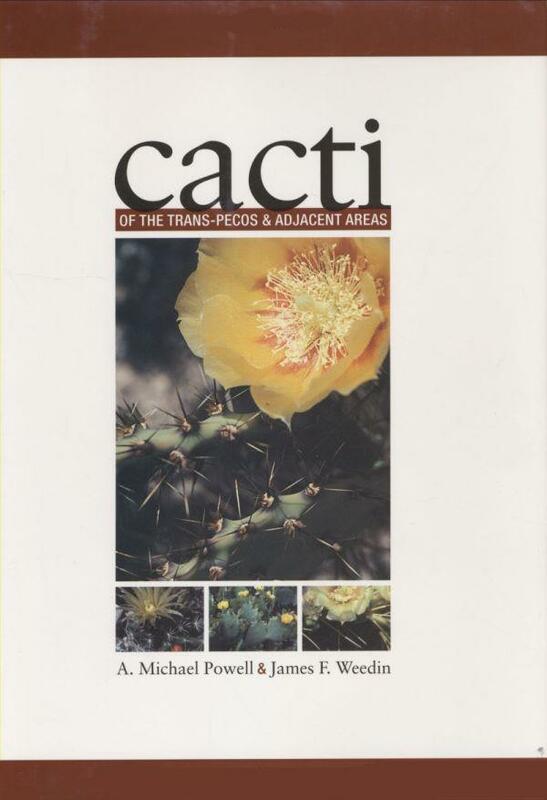 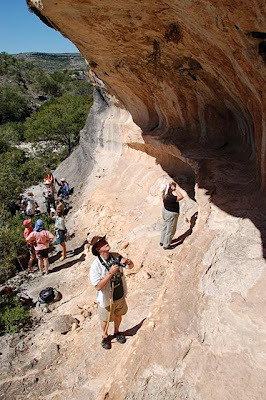 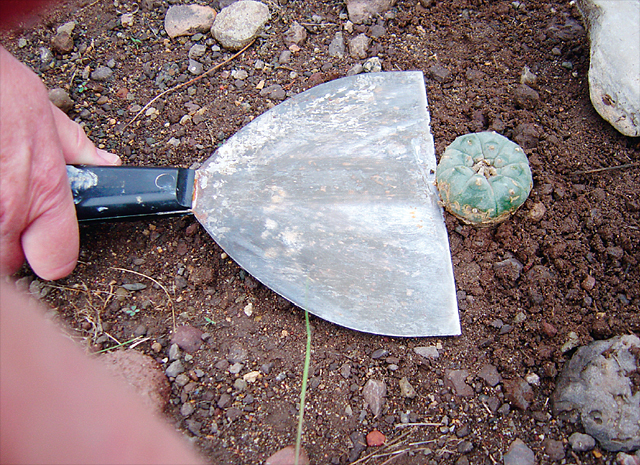 The study follows the post-harvest development of an initial group of 50 transected plants (harvested, tagged and measured March 13, 2008), a control group of 50 untouched plants, plus an additional group of 20 transected peyote plants (harvested, tagged and measured November 23, 2008). 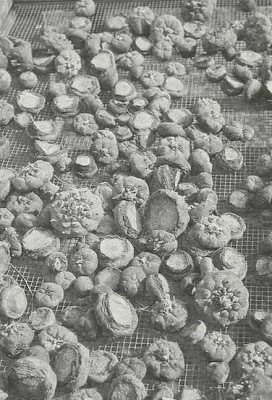 The control group is used for estimating how much “background noise” natural mortality, not associated with harvesting, contributes to the data. Mortality of a harvested plant is inferred if it produces no regrowth of buttons. 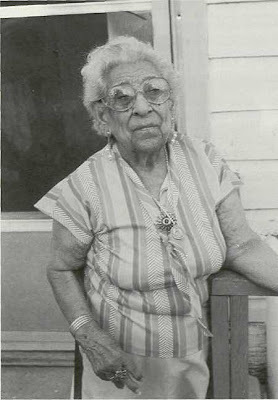 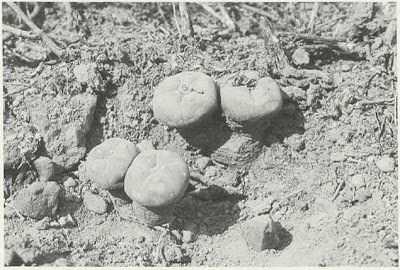 After 8 months the figure for mortality attributable to harvesting was 5/39, or about 13% (11 out of the original 50 numbered tags and the plants to which they referred had gone missing and were excluded from the study). 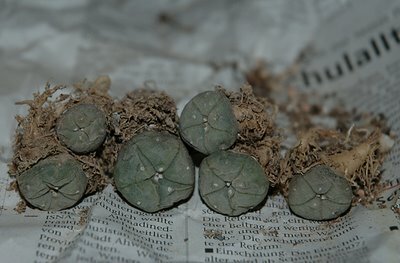 After one year the same number of harvested study plants were located (but interestingly it was not entirely the same plants and tags as were located after 8 months). 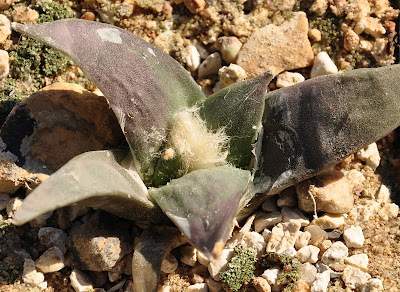 This combined with the fact that some of the buttons that showed no regrowth after 8 months have grown new pups at the one year “census” means that the harvesting mortality rate now is down to 3/39, or about 7.7%, for the initial group of study plants. 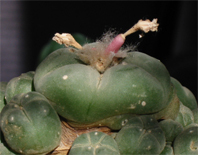 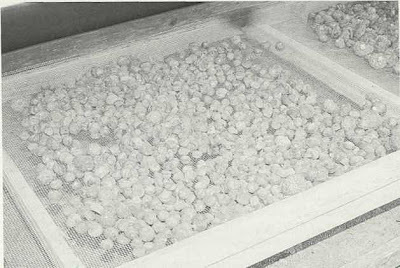 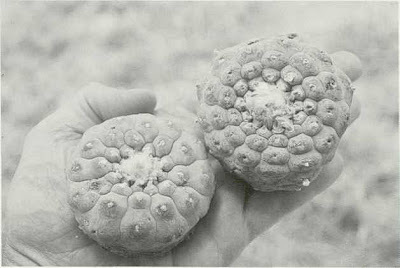 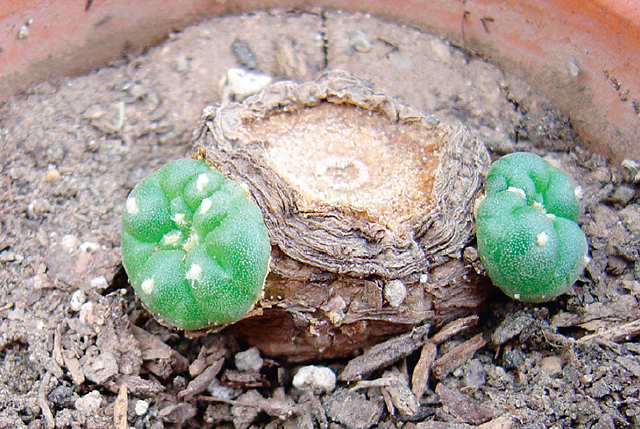 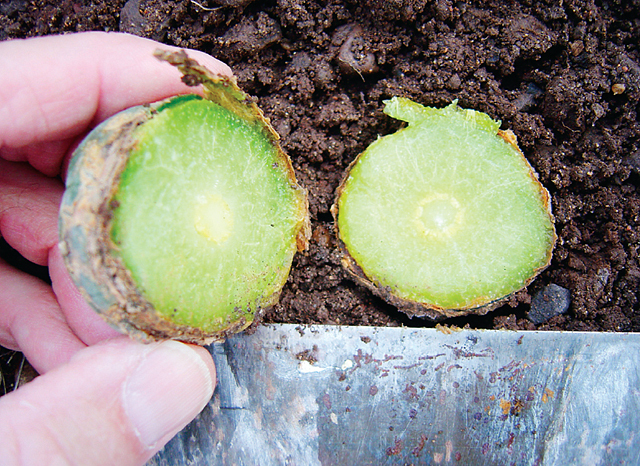 When harvested properly young crowns (“pups”) regenerate by lateral branching from the upper edge of the subterranean stem of the decapitated peyote plant. 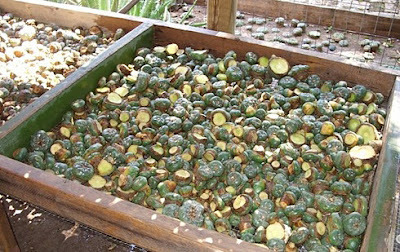 To make up for losses in the original group of 50 harvested plants an additional group of 20 plants were harvested during the November 2008 monitoring. 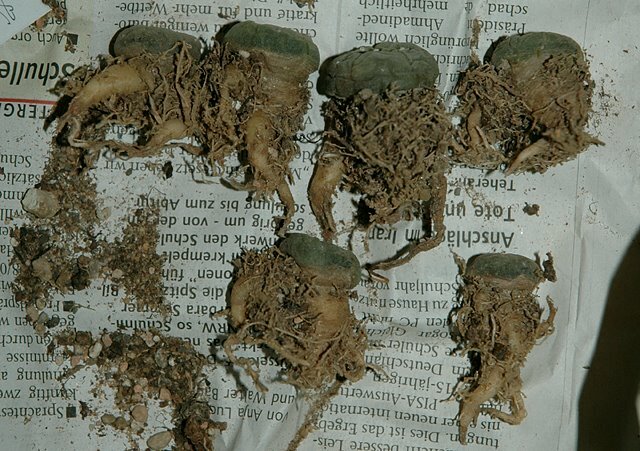 Unfortunately all but one of these plants show no signs of regrowth – and the one plant showing regrowth is doing so from the apical meristem, not from a subterranean areole (the crown must have been removed with a high cut, leaving the apical meristem to grow in the stem of the living plant). 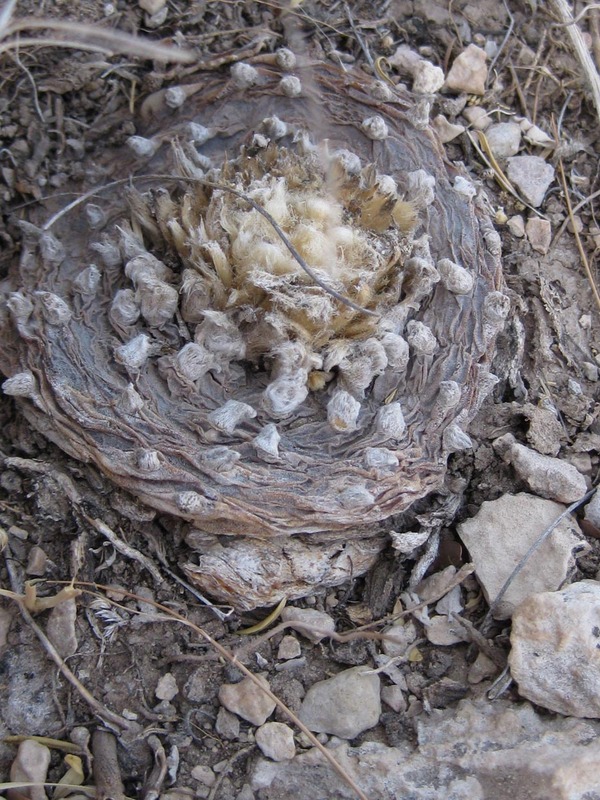 The devastatingly bad regrowth numbers for this group of plants is explained by a period of severe drought that followed the harvest, lasting throughout winter and into the spring. 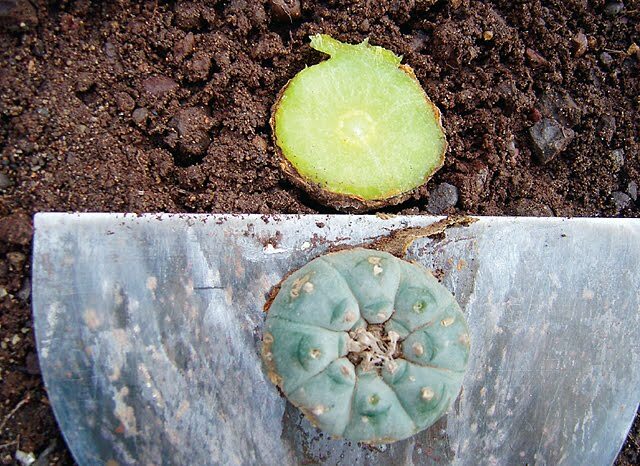 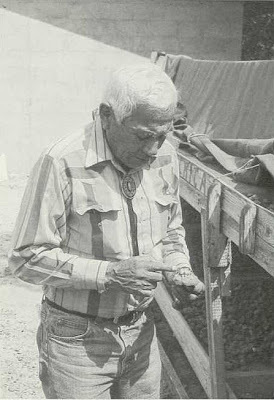 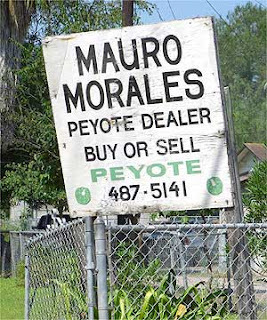 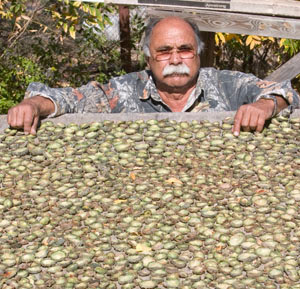 If you want to learn more about this fascinating study check out the complete data from the peyote harvest regrowth study. 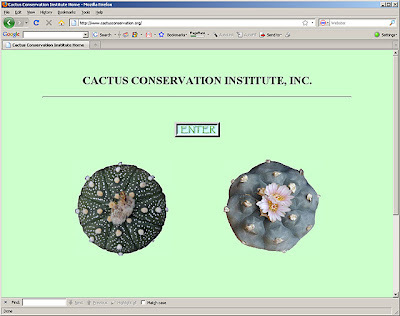 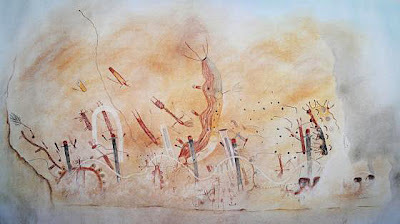 All photos in this post are used with the kind permission of the Cactus Conservation Institute. 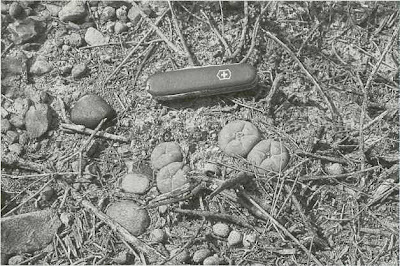 The original pictures can be found here, here, and here.